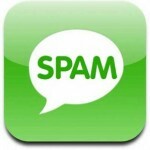 Have you ever received an unsolicited text message from a business or individual promoting a business? How about a call to your cell phone from an automatic dialing system or “robo-dial system”? Not only are these text spam messages and automated phone calls annoying and costly for consumers, a business or individual sending these types of messages on behalf of a business may be a violations of a Federal law known as the Telephone Consumer Protection Act (“TCPA”). The Telephone Consumer Protection Act, or TCPA, protects consumers from certain types of unsolicited telephone calls placed to a cell phone using any automatic dialing system or prerecorded voice. Sometimes, even certain types of unsolicited text messages or spam text messages may violate the TCPA. If a business or individual on behalf of a business violated the TCPA by sending you unsolicited text messages or using auto-dialing or robo-dialing systems to contact your cell phone, you may be entitled to $500 to $1500 for each call made to your cell phone without your prior express consent. 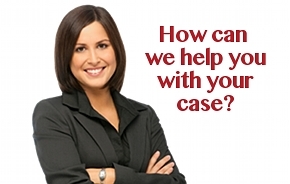 Damages up to $1500 may be recovered if it can be shown that the caller “willfully or knowingly” violated the statute. Have You Received Unsolicited Text Messages or Calls from Automatic Dialing Systems? Consumer Lawyer: Kenneth G. Gilman, Esq. For more information on the Telephone Consumer Protection Act, and your rights as a consumer, please refer to the attached TCPA Statute. 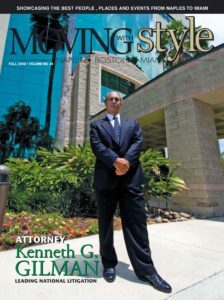 The Consumer Lawyers of Gilman Law LLP, a leading national law firm with offices in Florida and Massachusetts, have been recognized for delivering successful results to their clients across a broad range of claims stemming from consumer protection, product liability, mass tort, and class action lawsuits. For over 40 years, the Gilman Law LLP team of highly experienced lawyers has earned renown for tireless work on behalf of their clients on many of today’s most challenging and important legal issues.